AuthorityAdviser Is Help Readers Make The Right Purchasing Decisions. AuthorityAdviser is an independent 3rd party product review blog. We conduct in-depth product research and review to help readers save time, effort and avoid bad purchases. 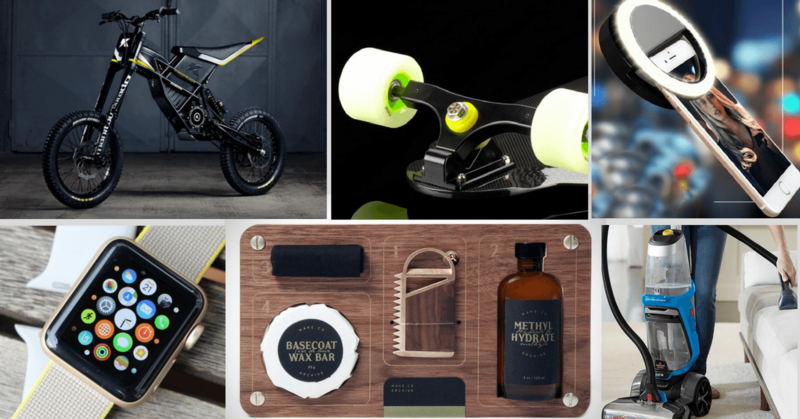 Founded by Walter J. Farrell with the aim of bringing up a list that stands out as the best of the best gadgets/products — ranging from Rides to Tech, Style, Living, Gear, and Others. We aren’t necessarily looking for the most expensive or feature-packed products. Rather, we take into account the types of features that are likely to matter for the users. Wait… Doesn’t that create a conflict of interest and/or bias? What To Do If We Haven’t Reviewed A Product That You Are Looking? We typically spend 20 hours (some up to 60 hours!) researching & writing each article to help readers make the right purchasing decisions. Our reviews and recommendations are based on both quantitative measures like product specs, features, prices, etc.. as well as qualitative factors through crowdsourced opinions, hands-on testing, expert interview, speaking with vendors/manufacturers. All these factors are considered before we form our opinion. By combining our own real-world experiences and expertise with extensive market research, we are able to combine both qualitative and quantitative factors that would be incredibly difficult for the typical consumer to do on their own. Life can get busy and hectic, and most people don’t have the time to spend hours upon hours researching the best possible product. That means they are left to a) rely on website reviews, which are often loaded with paid reviews which skew the results, b) rely on word of mouth, or c) choose based on a company’s advertising. These options make it difficult to choose the best product for your specific needs. Determining the “best” product is not as straightforward as some might think. While some product categories have concrete metrics that can be compared against one another, other products aren’t so straightforward. In order to measure qualitative information, we draw on research and conversations with experts to narrow the field of products. From there, we design a series of quantitative and qualitative tests designed to narrow those products to a “best” one or two. We are completely transparent in the process, and will always explain how and why we came to our conclusion. We’ll also explain why the other “finalists” didn’t ultimately make the cut. AuthorityAdviser is a participant in the Amazon Services LLC Associates Program, an affiliate advertising program designed to provide a means for sites to earn advertising fees by advertising and linking to Amazon.com.The vast majority of products that we review can be found on Amazon. You’ll notice that we include Amazon links to many of the products we discuss in our articles. Anytime you click on one of those links and proceed to make a purchase, we receive a small percentage of the purchase price in the form of a commission directly from Amazon. This means that while we would certainly like you to ultimately purchase something from Amazon, we have no bias towards which specific product you choose. We think it does create a bias—a bias to write about a lot of things with affiliate codes threaded in them. But we think it poses less of a conflict of interest than traditional advertising. Affiliate pay does not, in our opinion, create a worse situation than running a site based on page views, because publishers still get paid for ads on stories that are hyped up, unnecessarily controversial, or broken into multiple pages. Even stories that are flat-out incorrect! Furthermore, we focus on adding real value to the world, not taking away from it. We don’t want to spend years of our lives pushing you towards something you actually won’t gain value from owning. That’s a lot more important to us than a couple extra dollars. If we were to sacrifice our integrity for a short-term dollar, that would sacrifice your trust tomorrow. And we’d much rather have long-term fans than a short-term transaction. We typically spend at least 20 hours researching and writing a single article—and sometimes much more! As a result, there are still hundreds of product categories we still want to review, and over time we plan on getting too many of them. Of course, if there is a particular product you would like us to review, be sure to let us know via our contact form and we will be sure to consider it.